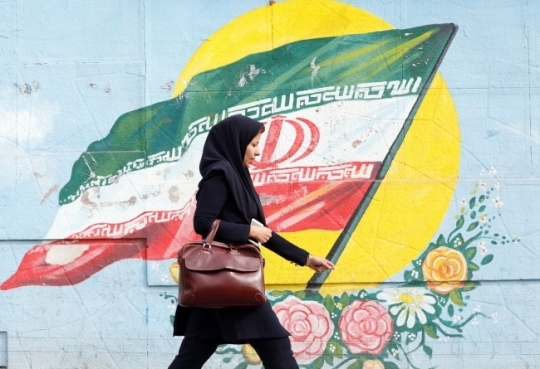 South Korean companies doing business in Iran are facing uncertainty now that sanctions have been reimposed on the Middle Eastern country, despite the waiver that Korea received. They say their business could suffer as the exemption is temporary and is strictly limited to oil. On Monday, the Trump administration said all the sanctions against Iran that were lifted as part of the 2015 nuclear deal will be reinstated. It then announced that eight nations, including Korea, had received waivers and could continue imports of Iranian crude for 180 days on the condition that they significantly reduce the volume of imports from Iran during that period. Currently, five companies, including SK Innovation, Hyundai Oilbank and Hanwha Total, are importing condensate -- a very light crude oil -- from Iran. Since May, when the US first announced its plans to restore sanctions against Iran, Korean companies have reduced imports from Iran and diversified markets to favor other nations, such as Saudi Arabia, Qatar and Mexico. Despite such efforts, condensate from Iran is still preferred by local oil-refining and chemical companies due to its lower prices. Iranian condensate accounts for 54 percent of the nation’s total condensate imports. “The crude oil from Iran is essential to producing chemical products and the price is relatively low. If the sanctions are prolonged, it will be a factor (in causing production costs to increase),” said one official from a local petrochemical company. Although imports of oil were temporarily allowed under the waiver, Korea still cannot trade with Iran in any other business area such as automobiles, finance, shipbuilding, energy or minerals. Iran was Korea’s 20th-largest trade partner as of last year, with the trade volume between the two nations standing at around $12 billion, according to government data. But since the plan to reimpose sanctions was announced in May and the first phase of that plan was implemented in August, exports to Iran from Korea dropped 22 percent to $2 billion from January through August of this year, compared with the same period last year, according to the Korean International Trade Association.